Located 13 miles directly north of the notable Oklahoma City, Edmond, Oklahoma offers impressive residential living. The picturesque Route 66 takes travelers straight into one of Oklahoma’s most charming, family-friendly cities. Known nationally as one of the safest cities in America, Edmond, also known as the Crown Jewel of Oklahoma, is a remarkable place to relocate or to begin a new family. If academics are a focus, families searching for Edmond, OK three-bedroom houses will not be disappointed. The Edmond School District, the fourth largest district in Oklahoma, ranks among the highest in Oklahoma schools. The numerous schools adhere to local, state, and national standards. In fact, Edmond School District is known for scoring high on state-level tests and meeting all requirements under No Child Left Behind standards. The great success of this school district can be contributed to its 100 plus National Board Certified teachers. When it comes to academics, this school district believes in setting high goals and meeting them. For post-secondary school opportunities, The University of Central Oklahoma offers the college experience not far from home. Founded in 1890, The University of Central Oklahoma has over 120 undergraduate and graduate programs. Despite the growing economic issues throughout the United States, job security is not an issue in Edmond. The city boasts also having one of the lowest unemployment rates in the country. Major employers include AT&T, holding over 1400 employees, and Hertz Corporation, housing over 850 employees. Along with the other various job opportunities in Edmond, these places contribute greatly to the tremendous Edmond economic system and rank Edmond as a fast-growing city of wealth. Because of the array of options, dining is an artful experience in Edmond. Whether it is fine-dining or casual dining, places such as Boulevard Steak House, Signature Grill, and Lottinville’s Wood Grill offer superb dishes and friendly service for any occasion. One unique place to dine is Othello’s, which offers original, customer-created dishes on its menu. For the money-savvy individuals, the city offers several ways to save money on every day expenses. For the size of the city, Edmond has one of the lowest sales tax in the state, an added appeal to 3-Bedroom Edmond, OK homes for sale. 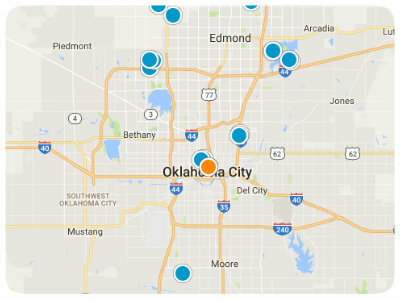 Another great aspect to the economy of Edmond is that families can save on their power bills because the electricity rates are low. Municipal electricity services make it possible for residents to enjoy efficient electricity at a lower cost. The weekend, or any day, is always open for adventure and entertainment in Edmond, which is home to many nationally-known centers. The National Cowboy and Western Heritage Museum and the Edmond Historical Society and Museum will impress any history buff. If it is athletic fun that excites the individual, the city also provides several outlets, including Pelican Bay Aquatic Center, Arcadia Lake, and the Arctic Edge Ice Arena. For basketball enthusiast, more specifically, Edmond is near the home of the Oklahoma City Thunder basketball team. For the avid outdoorsman, Edmond has award-winning parks and recreation centers that families can enjoy every day. Fine arts art seekers can discover hidden treasures throughout the town. Numerous sculptures highlight the city, providing lots of beautiful scenery to be discovered. Also, the Armstrong Auditorium provides more entertainment for the individual interested in performing arts. Contributing to the safety of the city, Edmond is home to some of the state’s largest and most efficient medical facilities. Mercy Medical, Integris, Summit Medical are the three main medical venues, all of which provide efficient and effective care for individuals in need. Also, the housing market places the median prices of houses in this area at 214,000, making it a very affordable place to reside. 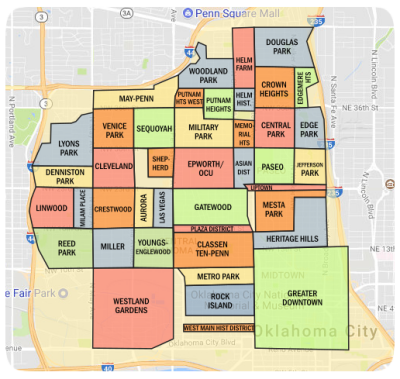 With the low-crime rate and money-saving possibilities, Edmond is definitely the perfect place reside. Beautiful home in highly sought after Landings II addition. Close to restaurants, highways, shopping and new developments.